As far as chemical elements go, H2O is a pretty good one. It nourishes our bodies and the foodstuffs we put in them, keeps us clean, washes our clothes and cars, and is far less likely to bring the apocalypse than many of its near neighbors on the periodic table. When we’re out in the backcountry, however, its airborne form can cause a few problems, ranging from a gentle drizzle on our domes a to thoroughgoing soaking and subsequent stroke of the chills or even hypothermia. Thankfully, these would-be party-poopers can be easily avoided with the application of a little bit of pre-purchase know-how and wisdom when heading to the store or shopping online for the top half of our wet-weather armory: the hardshell waterproof jacket. To help you on your way to acquiring this know-how and wisdom, in this article we’ll take you through all the ins and outs of hardshell jackets for hiking and alpine climbing, starting off with an analysis of different hardshell varieties and a detailed explanation of what goes into the making of the ideal jacket before then diving into our top hardshell jacket picks for 2018. While making a jacket 100% waterproof is within the bounds of possibility with modern (and even some not-so-modern) fabric technologies, keeping us safe from saturation by rainfall or snow is only half of the battle, with the other half consisting of a jacket’s ability to shift body heat and perspiration in an outward direction. If our jackets were totally waterproof, the likelihood is we’d suffocate or at least suffer a serious dose of dehydration long before given the chance to test out the term’s veracity. When hiking, we build up a sweat, and if that sweat has no means of passing outward from our garments to then evaporate in the ambient air, then we’re going to be just about as thoroughly soaked as we would be without any protection at all. This being so, we need a jacket that’s a multitasker, keeping our the airborne stuff while also taking care of the less kindly scented stuff produced by our bodies. Enter the waterproof breathable jacket. This very unoriginally named species of jacket finds its epitome and exemplar par excellence in the hardshell. Compared to standard rain jackets, hardshells boast a stronger build that is intended to offer a higher level of waterproofing and windproofing in more extreme conditions, even though more recent, ultralight iterations have blurred the line somewhat between the original variety of hardshell and emergency rain shells. While rain jackets might be a little lighter on average, performance-wise a hardshell brings a lot more to the proverbial table. The hardshell’s superiority in performance owes largely to their 3-layer construction, which generally features a waterproof breathable membrane sandwiched between a high-wicking interior liner and a more robust and far more durable outer layer coated with a DWR (Durable Water Repellent) finish. Gore-Tex Pro — No-nonsense, solid waterproofing and highly breathable. Also much more durable than any of the other fabric types featured below. Ideal for high-mountain activities and harsher weather conditions. Gore-Tex Active — Lighter and offers more in the way of breathability than “Pro” shells, but at the expense of water and wind resistance. A good choice for more aerobic activities like trail running, ski-mountaineering, and for speedy hikers in warmer climes when you need a mountaneering jacket. NeoShell — Uses a permeable three-layer construction to aid airflow and boasts a stretchier feel for added mobility. Prioritizes breathability over waterproofing and not quite as durable as Gore-Tex Pro. AscentShell — Very similar to the Neoshell in terms of overall performance, Outdoor Research’s in-house membrane offers solid waterproofing, great breathability, and a stretchier feel than many harder wearing fabrics. eVent — Compared to Gore’s Pro and Active models, offers slightly more in terms of breathability but significantly less durability and weather protection. Ideal for highly aerobic activities. A number of factors go into the construction of a truly reliable and high-performing hardshell jacket. Below, we’ve picked up the most relevant and included a few words on what they do and how they can affect a jacket’s performance. When buying your jacket, scan the specs to find the hydrostatic head (HH) rating, which is normally a four or five figure number given in millimeters (i.e. 20,000 mm). This figure indicates how much water pressure the jacket’s fabric was able to withstand in laboratory tests before allowing water to seep through. In a nutshell, the higher the number, the more waterproof the jacket’s fabric will be. Below, we’ve added a quick guide to help you see how HH ratings translate into performance out on the trails and mountainside. 1,500 mm — The bare minimum required for classification as waterproof and unlikely to keep you dry in all but the most moderate of short-lived rain showers. 10,000 mm — Found in many high-performance jackets, this degree of waterproofing is fairly low and would probably not be enough to withstand several hours of steady exposure to rainfall. That said, most jackets with this level of waterproofing excel in the breathability stakes. 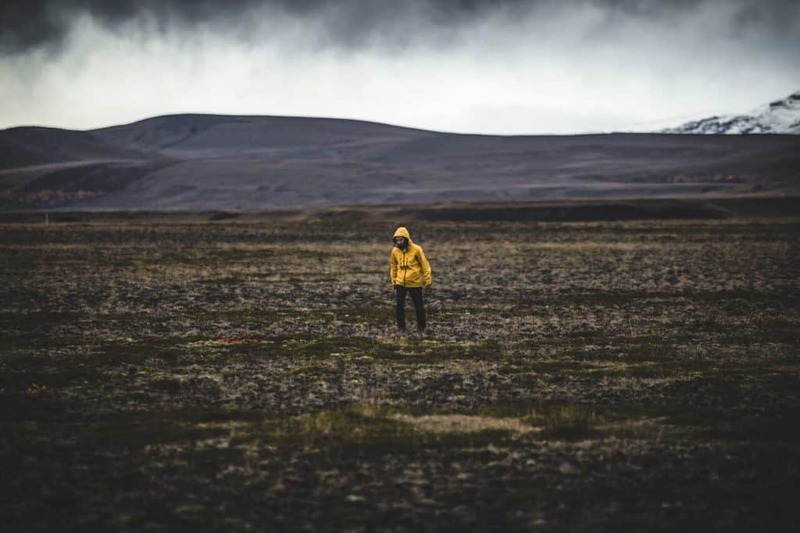 20,000 mm — A happy medium between the light waterproofing of 10k models and the bombproof waterproofing of 30k models, jackets with this rating are usually the ideal choice for those who a) aren’t involved in serious mountain sports in extreme conditions (i.e. ice alpine climbing, mountaineering, backcountry skiing, hiking), b) don’t practice highly aerobic sports where they are likely to sweat a lot more and thus require higher breathability (i.e. ski-mountaineering, mountain running) in addition to solid water and windproofing. 30,000 mm — Used in many top-end mountaineering jackets by brands like Gore-Tex, this degree of waterproofing is the most likely to keep out the elements but in many cases (not all) can sacrifice breathability as a result. 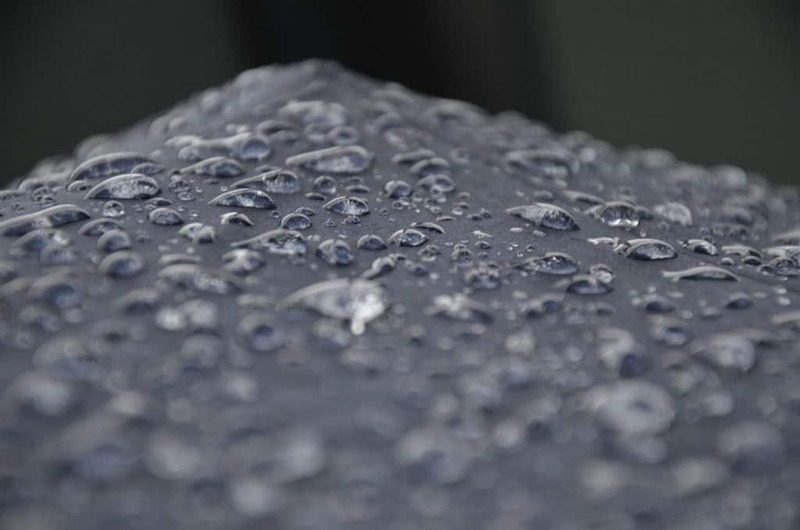 As the degree of waterproofing in any jacket is likely to impact directly on its breathability, for most buyers the ideal waterproof jacket will strike a balance between the two. This being so, prioritizing either waterproofing and breathability in accordance with the type of outdoor activity you practice and your own MO in the outdoors (slow-moving, fast-moving, taking frequent rest stops) is the key to getting your hands on the right mountaineering jacket. For example, leisurely hikers and ice climbers (who usually factor in the length of time they spend stationary at belay points or placing screws) may prefer a warm jacket with increased waterproofing as they are unlikely to be building up quite so much sweat, whereas trail runners and speedy hikers might prefer a more breathable jacket to deal with the extra body heat and sweat hiking and other activities are likely to have them produce. Breathability is a must-have in any waterproof jacket that’s intended for use in an outdoor context. While city-dwellers can get away with rubberized, impregnable PVC affairs that steam up on their morning stroll to work, if you’re doing anything even remotely athletic — even just a steady-paced walk — then wearing a jacket built with materials that can shift the body heat and sweat you generate to the jacket’s exterior is all but essential. Without it, things are going to get mightily moist and sticky in a hurry. Different brands use varying methods and materials to achieve simultaneous waterproof and breathable capacities, but each aim to find a balance between the two that will appeal to a wide variety of outdoors-goers looking for different levels of performance from their jackets. At the lower end of the scale, a jacket with less breathability may suit relatively slow-paced walkers or those more concerned with waterproofing and a high hydrostatic head rating, even if it means compromising on breathability. At the other end of the scale, the most breathable jackets out there are a better choice for those involved in highly aerobic activities like mountaineering, ski-mountaineering, trail running, and cycling, all of which are more likely to having you leaking lots of sweat and thus require materials capable of wicking that sweat away from your body and interior layers in a hurry when you wear it. TIP: Most manufacturers are not prone to including breathability ratings in their jackets’ product descriptions and finding them can take a little bit of detective work. 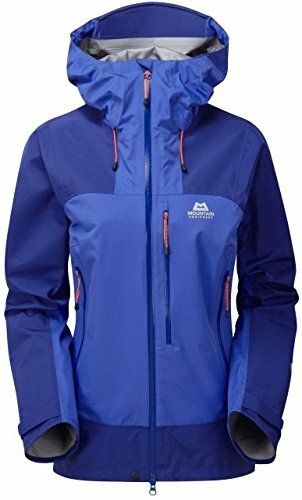 If you should happen to come across a waterproof jacket lacking any mention of breathability beyond the fairly standard, salesy adjectives (“high”, “excellent”, “superior” and so on) simply google the membrane or fabric type and you’re sure to find the desired figures without too much difficulty. 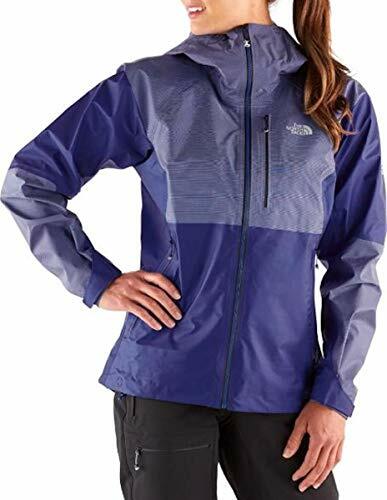 10,000 g/m2/d — Although likely to be inadequate for more aerobic activities, jackets with a 10K breathability rating are often better for cooler conditions — where heat retention is a bonus — and activities that are more slow-paced or have frequent pauses (ice-climbing or high-level, technical mountaineering are good examples) in order to help you retain as much heat as possible. 15,000 g/m2/d — This rating usually appears in jackets that offer a middle way between the extremes in terms of both waterproofing and breathability. If you tend to do a bit of everything in the outdoors, jackets with this rating might be your best bet, retaining enough warmth for colder conditions and low-intensity activities and shifting body heat quickly enough for all but the most aerobic of outdoor activities. 20,000 g/m2/d — Capable of shifting most of the heat and water vapor your body produces in even the most vigorous activities, jackets with this rating are ideal for trail runners, ski-mountaineers, and over-enthusiastic or impatient hikers(!) alike. 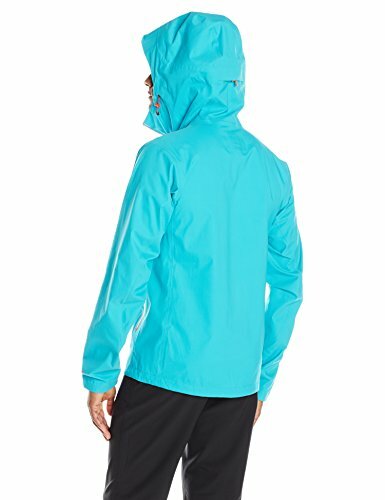 On the downside, many models of jacket with this breathability rating compromise on waterproofing and resistance to some weather conditions like wind. While there are a number of factors that contribute to a jacket’s durability, the most important of these is the thickness of the fabric, which is given in a denier measurement (usually abbreviated simply to “D”). With denier measurements, the higher the number, the thicker the materials used in the jacket’s construction. Most outdoor hardshells fall into the 20 to 80-denier range, but a few ultralight models can now be found that go as low as 7D, and some heavyweight alpine models tip the scales at a whopping 100D. As you’d expect, high-denier jackets are generally tough and long-lasting, but also weigh a lot more and aren’t so packable. Jackets with lower denier count are lighter and more packable but lose durability the thinner they go. For general hiking, somewhere between 30 and 60 is usually a good bet and tough enough to deal with the regular wear and tear you’ll put it through on the trail. For those who like to move fast and keep pack size to a minimum, lower denier jackets (10 to 30D) become an option, but jackets at the lower end of this range are unlikely to withstand too many scrapes with brush, branches, or rock. Jackets at the other end of the extreme (60+D) are usually intended for use in more extreme environments where a bit of rough and tumble is part and parcel of the activity, i.e. mountaineering and off-piste skiing. While the breathability capacity of your jacket will be the most significant factor in keeping you cool and dry while on the move hiking, a handful of other features can allow you to dump heat quickly when need be without exposing your lower layers. The most important of these are pit zips, mesh pockets, and adjustable cuffs. Mesh Pockets – If not in an absolute downpour where even opening your pockets is unthinkable, pockets with a mesh interior can boost airflow far better than the membrane-lined variety. Pit Zips — These underarm (i.e. “pit”) zippers are a fairly new addition to most jacket lines that work wonders when things start getting sticky. Handily, they’re located in that portion of your jacket least exposed to precipitation and also directly beneath the part of our anatomy most likely to be overheating and leaking fluids. Adjustable Cuffs — These usually use a velcro closure (as opposed to an elastic one) and allow you to let in a little bit of fresh air at the wrist to provide a quick boost to overall airflow. What makes pockets user-friendly? First up, they have to be located high enough on the torso to allow access even when wearing a harness (if you’re a climber or mountaineer) or a backpack belt strap (for everyone else). Secondly, look for pockets big enough to store what you need to put in them — in most cases a map, navigation device, or smartphone. Because the ideal scenario is to keep the hip pockets on your jacket free for your hands, a third pocket in the chest or on a sleeve is a very handy addition. Some ultralight hardshell jackets (see the Outdoor Research Realm, below), forego hand pockets entirely, the thinking being — we presume — that you save a few grams of weight and already have pant pockets to pop your hands in if need be. While this exclusion may seem justifiable to the serious gram-counters amongst you, be sure to consider the impact this may have on mobility if you have your pant pockets stuffed with gear items or have to walk with your hands in there in lower temperatures. For mountaineers, climbers, and skiers, finding a hardshell that’s helmet compatible is an absolute must — if you’ve ever tried wearing a non-compatible hood under your helmet you’ll know why, and maybe still have a few indentations carved into your forehead as a reminder! The most practical hoods have a peaked and stiffened rim to help keep rainwater off of your face and out of your eyes and also toggles or a cinch that allow you to adjust the tightness of the hood, with an adjustable hood so it isn’t blown back or into your face when the wind kicks up. 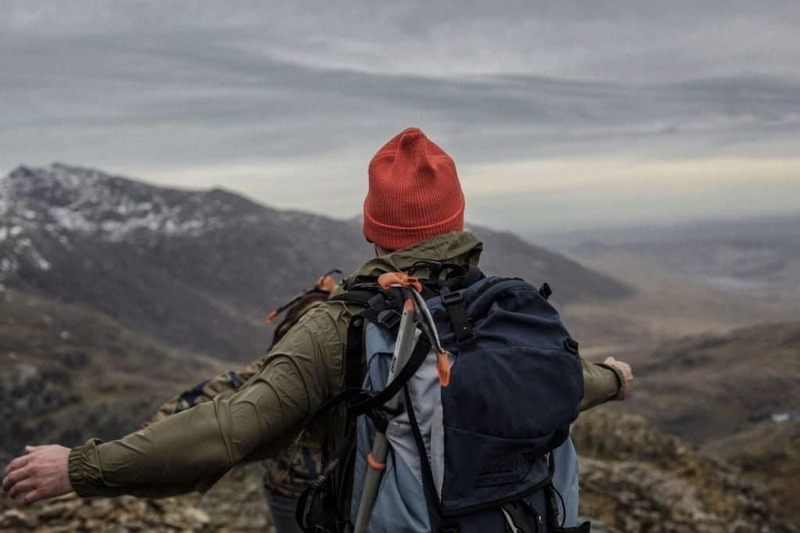 British-based brand Mountain Equipment hasn’t yet gained the popularity in the US and Canada that it has in its home country, but is one we’re sure will be competing with the big names Stateside in the coming years with their gear. The Ogre is named after a notoriously formidable peak (Baintha Brakk) in Pakistan, but like the mountain is far more aesthetically pleasing than its name suggests. Beyond appearances, this jacket is a bona fide all-rounder that excels in every category. 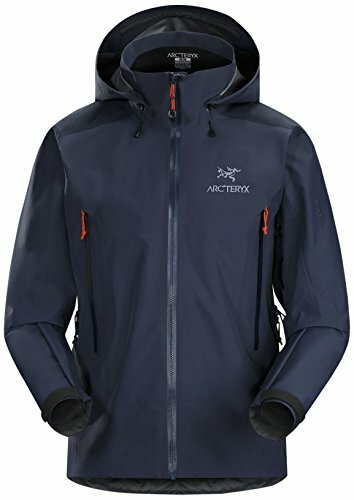 It’s light, highly breathable, boasts a highly mobile, comfortable, alpine-style fit, and uses tough, 3-Layer DRILITE waterproofing that is capable of dealing with even the heaviest of downpours and withstanding all the rough and tumble you could put it through on an alpine hiking adventure. And we haven’t even got to the best bit yet: the price. The Ogre offers similar performance and specs to many other jackets that will set you back almost twice as much, and as such represents the best value for money of all the items in our selection by quite some way. And the downsides? You’d have to really nitpick to find fault with this jacket. However, if pushed we could say that is has a slightly crinklier feel than some other models in our review. If you can deal with that, you’ll be getting a true beast of a jacket at a very palatable price to wear and keep your body warm and dry!. If you find any, let us know…! Finding a jacket that’s tough enough to deal with extreme high-mountain conditions whilst retaining the kind of comfort you get from a day-to-day, casual hardshell isn’t an easy task, but with the Beta AR we think we just might have done it. The Beta AR uses the superbly robust and breathable Gore-Tex Pro in a soft, lightweight 40D fabric supplemented with 80D reinforcements on the shoulders and elbows to increase durability and keep out the wet stuff where it’s most likely to penetrate. 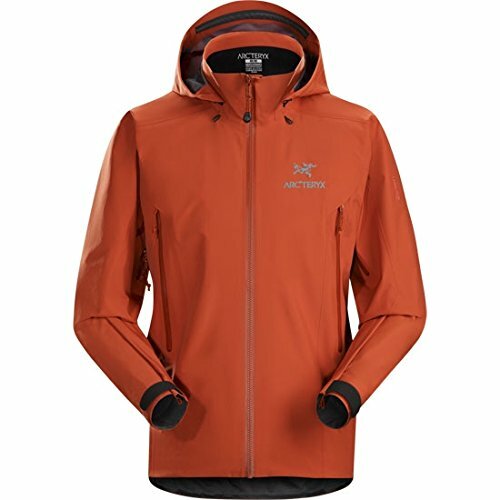 What impresses us most about this jacket is its versatility and absolute lack of any fiddly features or nagging but significant oversights. It has a high collar with a cozy chin guard, an adjustable and helmet-compatible hood, pit zips, fully sealed seams, and a duo of huge, backpack-friendly hand pockets. The only potentially unlovable aspect about the Beta AR beyond its formidable price tag is its weight — at just over a pound, seriously ultralight adventures might prefer to forego some of the frilly — if functional — features in favor of a lighter carry. In a few words, the OR Axiom is a solid, lightweight ticker-of-boxes that does everything very well without quite doing anything exceptionally well — with, perhaps, the exception of breathability. Using Gore-Tex’s performance-minded “Active” membrane, the Axiom lives by that age-old motto “less is more”. Focusing on reduced weight and enhanced breathability, this membrane is much thinner than those used in Gore-Tex Pro products and wicks sweat slightly more efficiently. This, however, comes at a cost in terms of durability and toughness. Build with 30D fabric, the Axiom isn’t going to withstand as much rough treatment as the OR Beta AR or ME Ogre (above), but is still a good choice for those who like to move fast and light, mountain runners, and ski-mountaineers. Four our money, the dictionary makers will soon be adding images of TNF’s Summit L5 alongside the term “bombproof”. Using a meaty 90D Cordura nylon outer layer, this jacket is the most durable and abrasion-resistant in our review, and thus a serious contender for those of you who spend a lot of time in more extreme environments or just prioritize lifespan and ruggedness over other factors. Almost inevitably, this jacket loses a few points on account of its heavy weight and large pack size, but if you’re more concerned with finding a jacket that offers outstanding weather protection and you’d need to try your damnest to destroy, then this could well be your future bestie in the backcountry when the bad weather sets in. 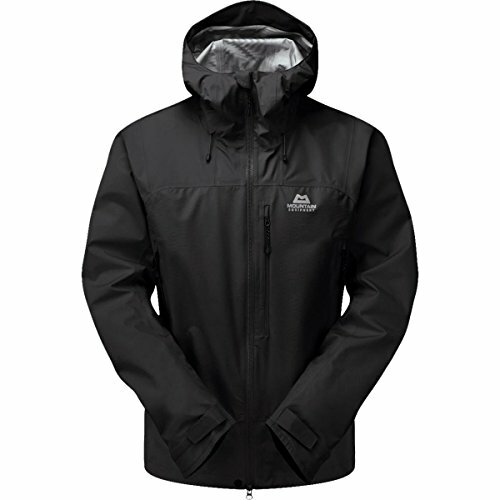 In addition to great waterproofing and durability, the Summit L5 also brings a lot to the table in terms of features: two large, backpack-friendly pockets, a large interior pocket, nicely sized pit zips to dump body heat in a hurry when need be, and a high collar and helmet-compatible hood that together bring a cocoon-like feel whatever the weather’s doing. Willing to sacrifice a few features for a jacket that marries the tough exterior of more alpine-style hardshells with the negligible weight of minimalist models? If so, pencil the Arc’teryx Alpha FL in at the top of your shortlist. 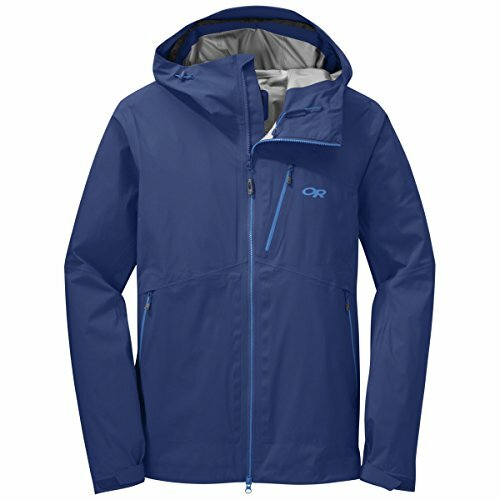 While this jacket lacks a few standard desirables such as pit zips, hand-warmer pockets, and a two-way front zipper, it goes some way towards excusing itself for these failings with superbly robust Gore-Tex Pro materials, a tough 40D outer layer, tiny pack size, and a very manageable weight of only 11.5 oz. Most jackets in this weight class manage to maintain some of the features the Alpha lacks, but very few of these come close to matching its durability and waterproofing. For those who insist on going minimalist but don’t want to compromise on performance, you’ll be hard pressed to find a jacket that balances the two quite as well as this. Something of a crossover between an emergency shell and an out-and-out hardshell, the Patagonia M10 will appeal to those who want reliable (but not spectacular) waterproofing and good breathability without having to worry about weight or pack size — at a mere 7 oz, this is the lightest jacket in our review by some distance and packs into a very portable bundle not much larger than a baseball. 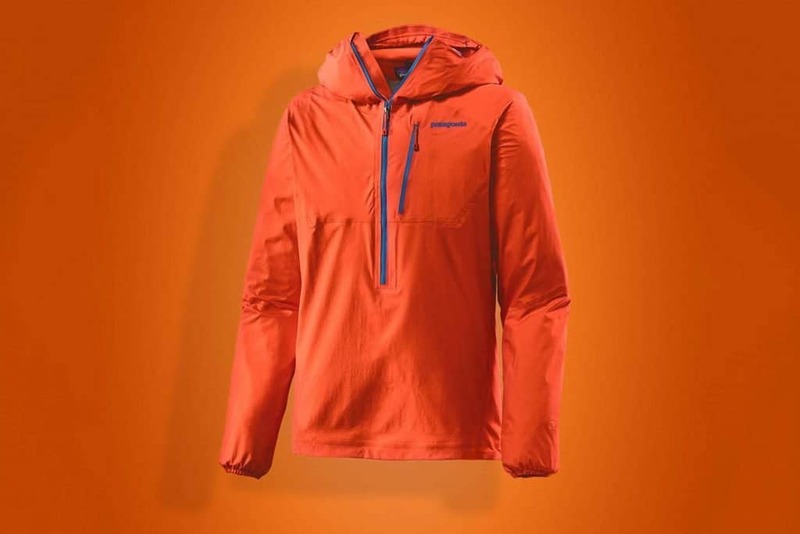 To achieve this fantastically light weight, however, makers Patagonia have been forced into a few compromises elsewhere in terms of performance and durability. So, just what are these compromises? Well, the M10 uses a very skinny 12D fabric that feels surprisingly comfortable against the skin but is sure to cause you a few worries if traipsing through a forest or dense, high foliage. It also skips on hand pockets and features elasticated instead of velcro closures on the cuffs, which is not ideal if looking for a quick heat dump or wearing thick gloves. 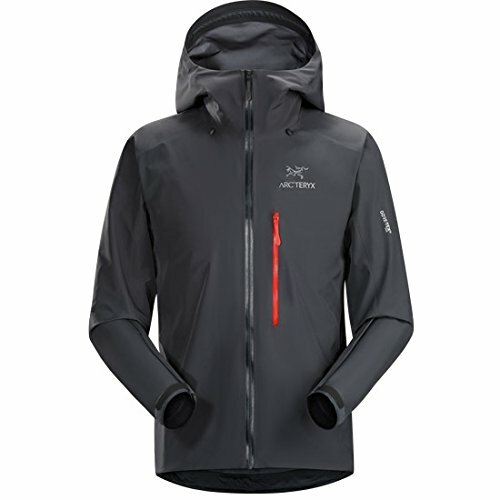 Otherwise, this is a very tidy, functional little jacket that’s just about ideal for those unlikely to be roughing it up and are more liable to be sticking to maintained trails than venturing into harsh environments where weather protection and ruggedness are the priority. Weighing in at a tiny 10.9 oz. 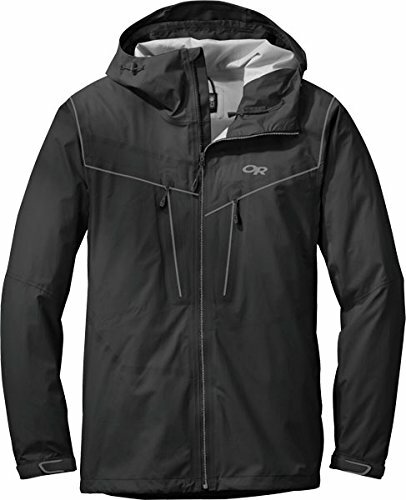 and using slightly thicker, 20D fabric than other featherweight models, the OR Realm straddles the ground between the minimalist class of hardshell jacket and meatier, all-terrain, all-times-of-year varieties. What sets the Realm apart from most other jackets in its price and performance range is its use of OR’s AscentShell fabric, which boasts a superbly stretchy feel that lacks the crinkliness of many more robust hardshells and approximates the comfort more commonly found in softshells. Although not quite as waterproof as jackets using Gore-Tex Pro or Active, the OR Realm will win many a follower on account of its excellent breathability, negligible weight, and tiny pack size. Despite its diminutive proportions, features-wise the Realm boasts a robust, full-length zip, a helmet-compatible hood, three pockets, and only lets itself down due to its lack of pit zips. While touted as a technical hardshell for mountaineers, we found that this jacket performs admirably on low-level hikes and in hotter climates but is not the best bet for traveling on higher ground or in harsher conditions. Although it’s made with materials that are slightly thicker than those used in many other ultralight models, compared to true, out-and-out alpine shells the Realm’s 20D fabric is a touch on the flimsy side and is unlikely to escape unscathed from too many encounters with abrasive mountain rock, overhanging branches, thick scrub, and other assailants commonly found away from established and maintained trails. 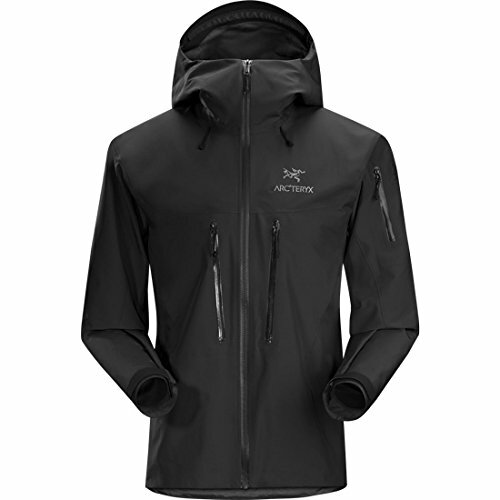 You might have to rob a small bank to get your hands on one, but the Arc’teryx Alpha SV is well worth the effort and, for those especially keen on having the best weather protection and performance a jacket can offer, maybe even the criminal record too. This beast of a jacket is the ultimate in all-weather protection, using a highly breathable and tough Gore-Tex Pro membrane in a virtually indestructible and impregnable 100D 3-layer construction. On top of that, makers Arc’teryx don’t skimp on the details, throwing in pit zips, a two-way zipper, velcro-closure cuffs, seams sealed with Gore-Tex tape, three exterior pockets, and a fully adjustable, helmet-compatible hood. All of this unquestionable, potentially peerless goodness, however, comes at a price. A big one. One that’s sure to be outwith the budgets of many would-be buyers or simply prove too extravagant given the number of alternatives not too far behind the Alpha in the performance stakes. If, however, you fall into the “take-no-chances” category of wet-weather hiker, have cash to burn, or really have just sauntered out of the local bank with a bag of swag over your shoulder, then the Alpha SV is worth serious consideration, whether you’re heading into the harsher conditions of the high mountains or simply looking for a trusty, long-term, practical companion for wet-weather hikes on lower ground. With such a stellar array of hardshell jackets now at our disposal, we outdoors-goers no longer have to fear the perils of airborne H20 as we once did. In the above review, we’ve narrowed down that vast array to a definitive top eight, each of which offers attributes and features that will appeal to different buyers for different reasons. 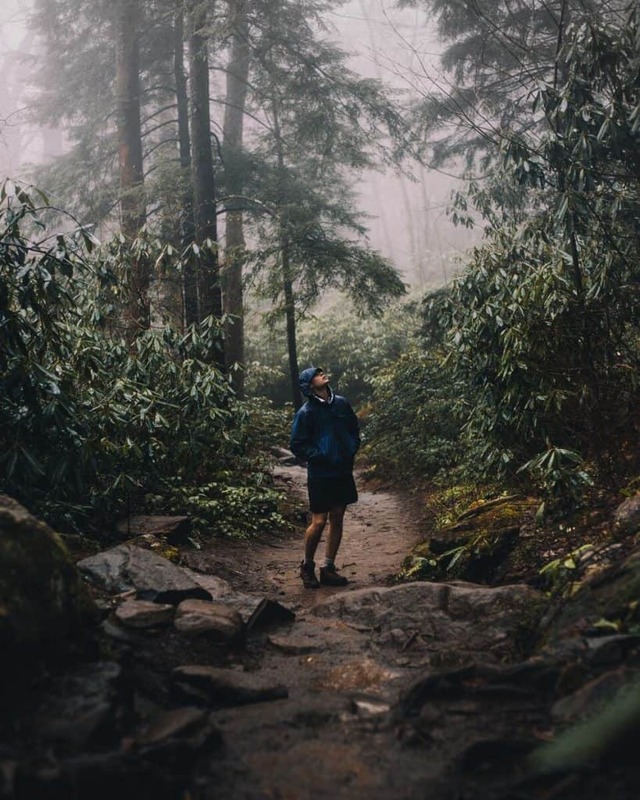 All, however, share a few common denominators that make them the ideal companions for wet-weather hiking: solid waterproofing capacities, highly breathable fabrics, tough, 3-layer constructions, and performance-minded builds that elevate them above even the best 2 or 2.5-layer rain jackets. Given this almost uniform showing of downright awesomeness, choosing an out-and-out winner has been a tricky business, but after careful consideration our review has found one jacket to stand out above the rest — the Mountain Equipment Ogre. While this jacket doesn’t necessarily do a bundle of things that others in our selection don’t, it does everything you could possibly need a hardshell jacket to do to a very high standard and, most importantly, at a fraction of the price of many of its competitors. The Ogre is a true all-rounder, working just as well on moderate hikes as it does in high alpine environments and extreme conditions thanks to its combination of tough, no-nonsense, reliable waterproofing, excellent breathability, and a full complement of effective, user-friendly features. Short of scaling that mountain for you, you couldn’t ask a hardshell jacket to do a whole lot more.